Our take on the popular Graduation Ear Hat starts with an authentic Mickey Mouse ear hat, direct from the Disney theme parks. 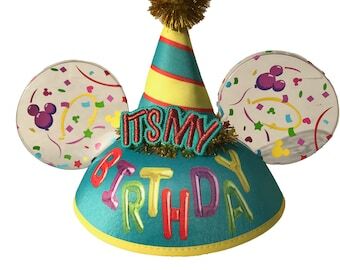 Each hat is crafted from black felt with black plastic ears and a sewn-on embroidered Mickey Mouse patch on the front. You choose the Resort logo, either Disneyland (California) or Walt Disney World (Florida), and the size (Adult, Youth or Toddler). 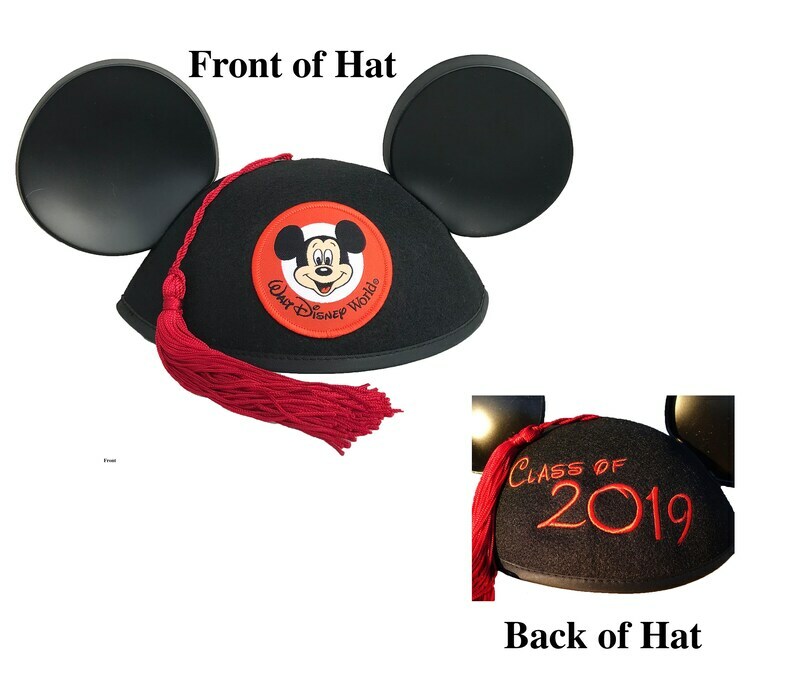 We embroider "Class of 2019" on the back of the hat in the Walt Script font and in your choice of color on the back of the hat, and cap the whole thing with a coordinating tassel. We offer four embroidery thread colors for this hat, with coordinating tassels. We make our own tassels to match the colors in the rainbow embroidery thread. Please note, the Red tassel is not the same shade as the red fabric patch, so we opted to match the thread to the tassel, not the patch. We are happy to try to match other school colors upon request. Please request a custom order if you prefer a thread color or tassel color not shown here. I love it! It came super fast!